Take the stress out of finding new leads and start growing your business today. Build your business with our consistent and predictable lead gen service for SEO, WEB and PPC campaigns. Here’s the problem, you invested tonnes of time and money building your new website, but nobody is coming to it and when they do, they don’t convert leaving you without any leads or sales to show for it. You’re constantly outranked by your competitors, burnt by multiple agencies and you’re tired of wasting thousands of dollars on so called “expert” advice that doesn’t convert. It’s easy, all you need to do is contact our team today and we’ll provide you with a free video review of your website and present you with a strategy and high-level audit of your online business. No pushy sales guys, no obligations, just an honest conversation about how we can help you. Is your website struggling to convert clicks into paying customers? 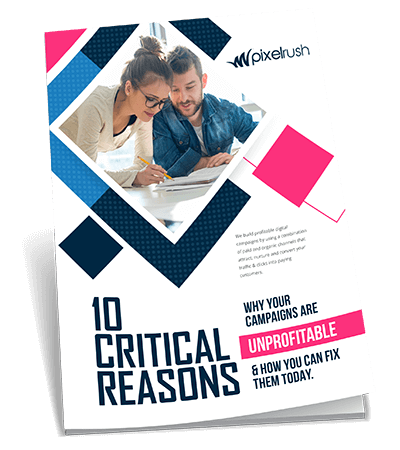 Are you tired of losing thousands of dollars on digital campaigns that don’t convert? Take the stress out of finding new leads online. We specialise in high-converting custom websites that build trust with your visitors and influence them to take action. Using our WEB services, we can offer you unlimited design revisions from our dedicated design team and all of our new websites include complete onpage SEO optimisation, which attracts more organic ready-to-buy customers directly to your brand. Using our PPC services, we offer you a proven, data-driven and risk-free strategy for generating more paid leads for your business. Our campaigns are meticulously structured, optimised on a weekly basis and ROI-focused.